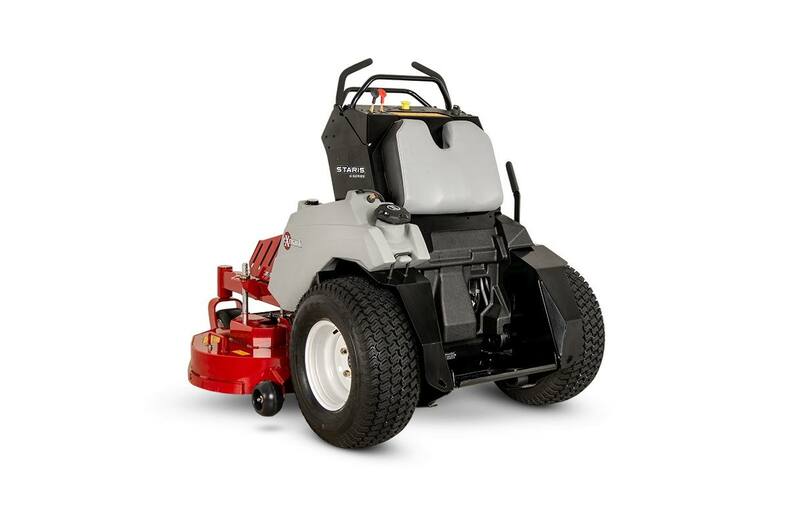 Available with a choice of 32-, 36- or 44-inch UltraCut Series 3 cutting decks, Staris E-Series commercial stand-on mower strike the perfect balance of productivity and value. 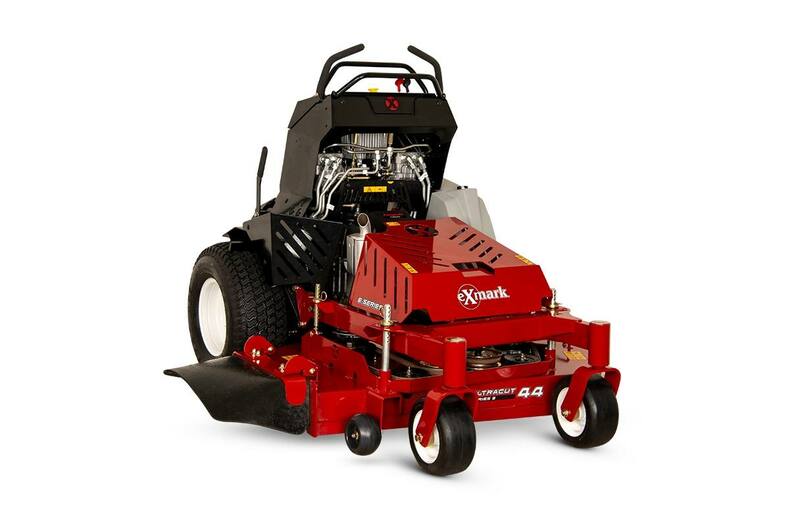 The compact size of the 32-inch model allows it to fit through 36-inch gates and into tight spaces - a must for commercial mowing. 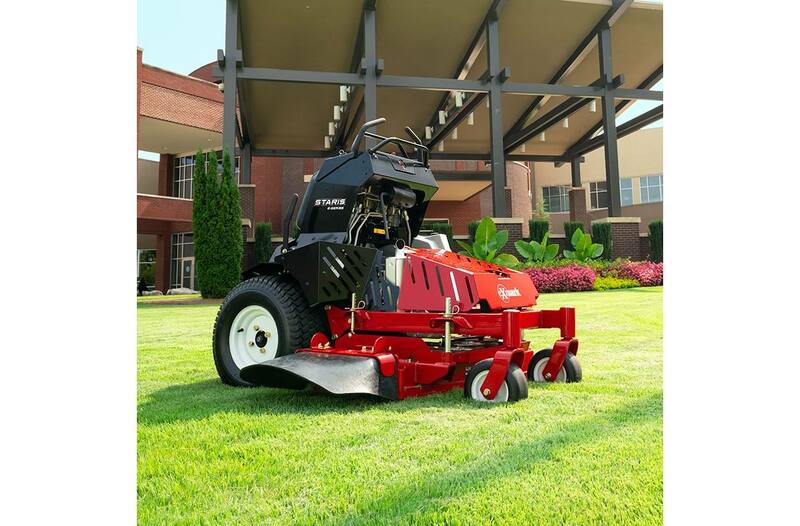 A top ground speed of 10 mph enables landscape pros to mow more properties, more quickly, without the fatigue typically experienced with a small walk-behind mower. A large, open operator platform allows for easy step-on step-off. Constructed from heavy-duty tubular steel, Staris frames feature the same wall thickness as our industry-standard Lazer Z zero-turn riders. Proven Kawasaki V-twin commercial engines feature cast-iron cylinder liners, pressurized lubrication and a rotating grass chopper screen to minimize debris in the cooling system.Available spring 2019. 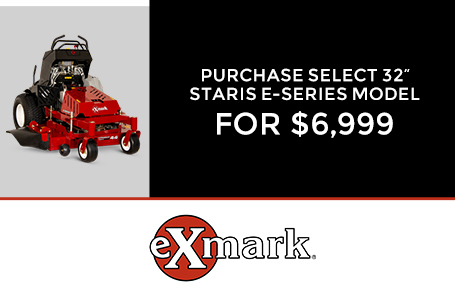 Cut Quality: The Staris E-Series features proven UltraCut Series 3 decks delivering Exmark's signature quality of cut. Commercial-Grade Engine: Kawasaki commercial-grade engines are featured on the Staris E-Series. Compact Design: The compact size reduces trailer space and storage and gives the ability to access more yards, more quickly, while providing exceptional maneuverability on tough terrain. Steering Control: Twin levers with adjustable front reference bar to modify forward ground speed. Front Caster Tires: 9 x 4.50-5, smooth-tread, semipneumatic tires with sealed ball bearings. Drive Description: Two Hydro Gear 10 cc pumps powering two Parker 12 cubic inch motors. Fuel Capacity: 5-gallon (18.9-L), single fuel tank with single fill location. Deck Style Description: Full-floating UltraCut Series 3. Side discharge standard, with flexible discharge chute and option to bag or mulch. Width / Cutting Deck: 32"